The Moon Mountain District has historically delivered respected Cabernets and has been planted to grapes since 1886. The biggest reason for this is the plateau that lifts these vineyards up into the light, out of the fog. It’s a Goldilocks thing: not too hot, not too cold. This doesn’t exist anywhere else in the region and is shared by only a handful of vineyards. Between that and the thinner soils on the slopes, the wines have a certain tension and vibrancy. B. Wise Estate Cabernet also shows a rare minerality that comes from the distinctively red soils. The closest comparison to these soils is in the vicinity of Oakville in the Vaca Range on the east side of Napa. 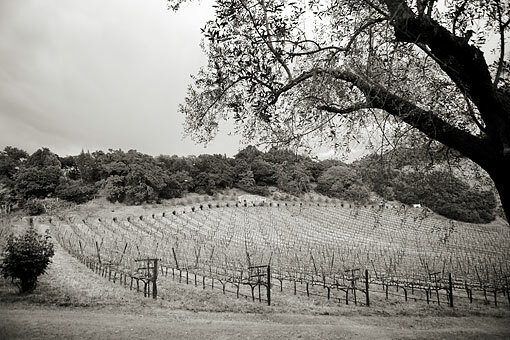 But while the Napa soils are old in geological terms, Moon Mountain soils are relatively young. This little spot is a younger cousin of an iron-rich and wine-favored geology that has much to say.